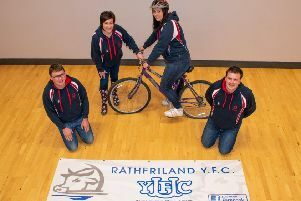 YFCU members recently took to the stage at Royal School, Dungannon, to compete in the final of this year’s demonstration and presentation competition. The competition aims to help members further develop their communication and presentation skills by delivering presentations or carrying out practical demonstrations. It gives entrants the opportunity to choose a topic, craft or skill they are familiar with and deliver this to judges using practical aids and visual presentation equipment. Competitors were given a maximum of 10 minutes to speak about or demonstrate a topic of their choice. YFCU would like to thank all the judges who kindly gave of their time to listen to and evaluate the diverse range of presentations. The judges on the evening were Linda Davis, Avril Herdman, Jane McCollam, Tracey Weir, Claire Woods and Joe Graham.